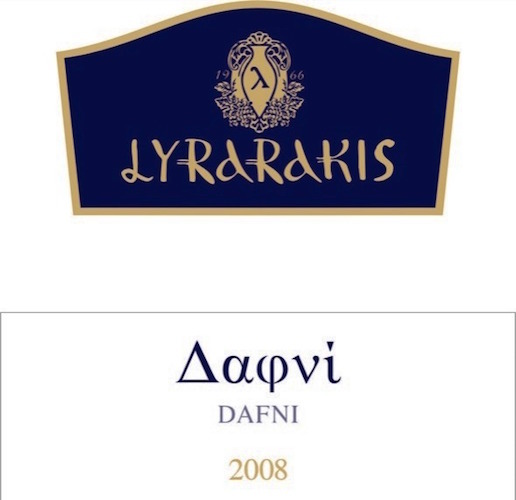 The Dafni variety is one of the oldest and rarest Cretan varieties planted on the estate of the vine-grower Lyrarakis at Alagni a few years ago in order to save it from extinction. A characteristic of this variety is the wonderful original aromas found concentrated mainly in the skin of the grape. This variety owes its name to the plant of the same name (Daphne or Laurel) due to the similarity of their aromas.Whitish-yellow colour. Long-lasting and intense aroma which clearly reveals the variety it originates from. Rich, balanced flavour.